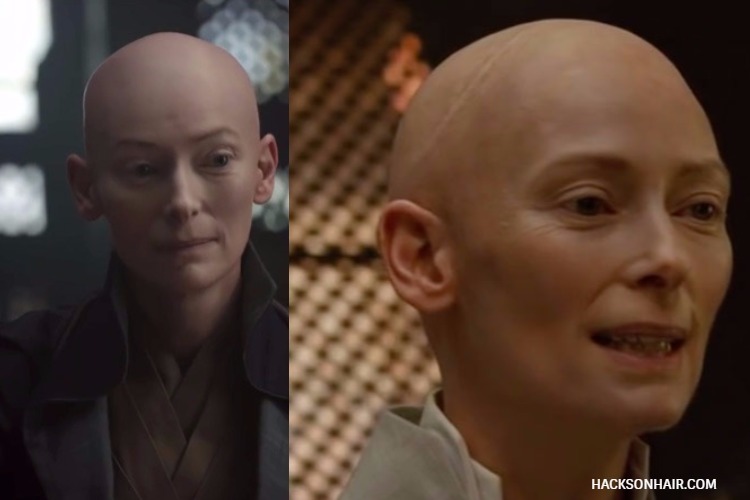 Tilda Swinton Shaves Head for her role as Ancient One in the Movie Doctor Strange. Doctor Strange is a movie based out of comics by Marvel. Yes, It’s a superhero movie like Avengers, Iron Man and other movies that Marvel produces. Tilda Swinton always chose different characters when she picks a movie. And, Tilda’s role is to mentor him until he learns the secrets of harnessing the power within the soul. Tilda Swinton also protected the secret of the head being shaved for the movie until the movie trailer is out and we’ll get into more details on this down below. According to the real comic that portrayed, The Ancient One is a Man with a bald head. But here the story is different because a woman is being played the iconic role. Many people feared that the story won’t be suitable if a woman played the role and all. But finally, I would say that Tilda Swinton did awesome in her role. She hasn’t released her shaved look to any audiences during her shooting for the film and some of them knew about her look and she suggested them not to reveal this. When Entertainment Daily went to get some info for their publications about the Marvel Film. They got to know about her Headshave look but Swinton asked them not to reveal about this. But the news about this came after the launch and both she and the media confirmed about this discussion. After the above teaser launch, Tilda was sporting a short haircut and talked all about the look and shed some more details on the character that she was playing. What do you think about all ” Tilda Swinton Shaves Head ” Thing? Okay or Not Okay? Cool/Not Cool? Leave a comment below. As for me, she looks cool in all her avatar’s her Headshave look is no exemption. I was waiting for her headshave, because she likes to act as a man, by starting to cut her long hair off and look like a man, her voice is still female, so dr. Strange is not a man.